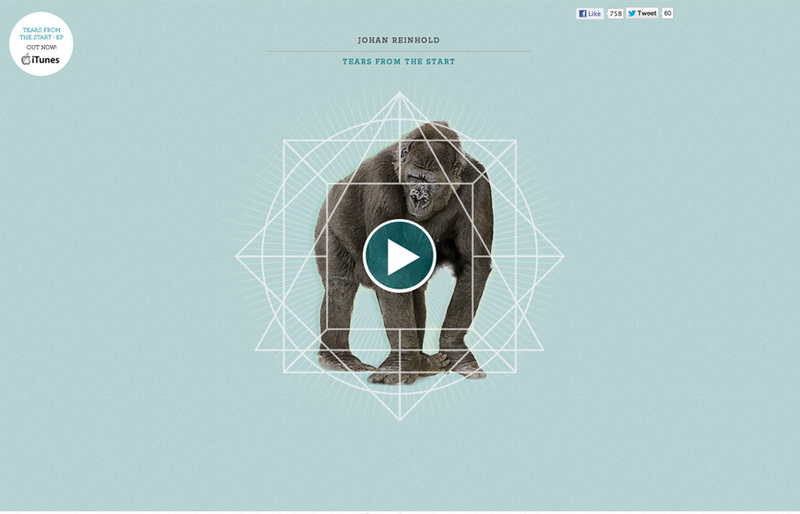 Official website of Swedish electro-pop outfit, Johan Reinhold. I like the interaction animations worked into this site. Like the gorilla and the beating heart illustration. I think the way it’s initially designed will have more people watching the video than scrolling down – but that looks like the point to me.